Hyderabad: A 35-year-old woman, working in the local branch of a US-headquartered bank, was found dead under mysterious circumstances at her residence in Hyderabad, police said. According to police, G Padmaja was found hanging in a room in her house located in Gachibowli area of the city. Police have registered a case against her husband Girish Narasimha, a system administrator working with an IT firm here, and his family members on charge of dowry death. 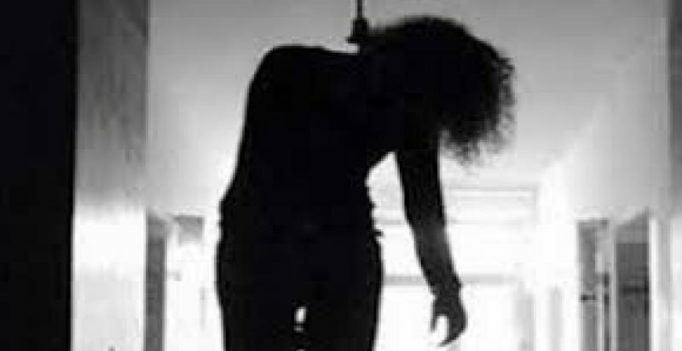 Padmaja was found hanging by Girish who took her to a hospital where doctors declared her brought dead, Gachibowli police station inspector S Chandrakant said. However, Padmaja’s parents lodged a complaint suspecting a foul play behind her death. “They (Girish and Padmaja) got married in April 2016. According to her parents and relatives, a month after their marriage, Girish and his family members started harassing Padmaja daily for dowry and for transferring properties in her name. They (Padmaja’s kin) suspect that she might have been killed or might have taken the extreme step unable to bear their torture,” the inspector said. Padmaja was working as a back-end officer with the bank. A case under section 304B (dowry death) of the IPC has been registered against Girish and three members of his family, the officer said, adding that Girish is being questioned.